I looooove brunch food! Waking up late on a Sunday and having a big leisurely brunch is like heaven for me. 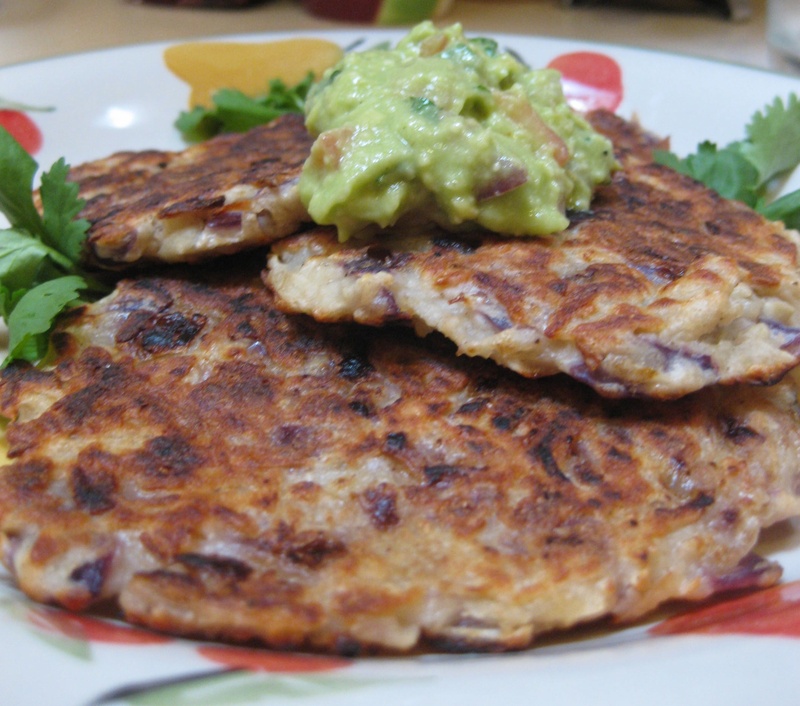 I always make pancakes with fruit in them, but savory pancakes are a whole new realm that I hadn’t explored. And since I recently rediscovered how good hash browns are, these seemed like an awesome idea. And they came out great for my first try! This recipe made enough for 4 medium-sized pancakes. Mix everything together, adding more or less milk and flour toget the right consistency. You should be able to form a patty that will stick together in the pan (I did a little “test” pancake first to see if I needed more flour and ended up adding a little more so that they wouldn’t fall apart). 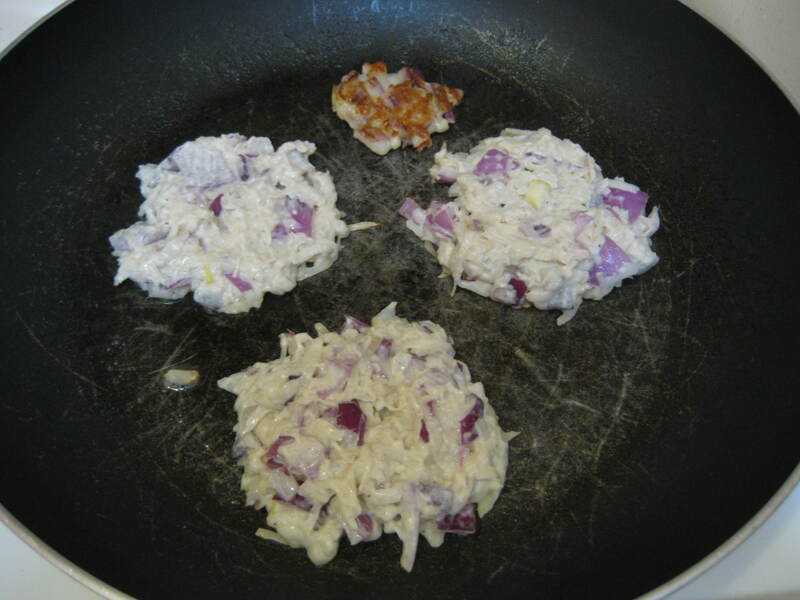 Coat the pan with a layer of butter and cook the patties on med-low heat until golden brown on both sides. 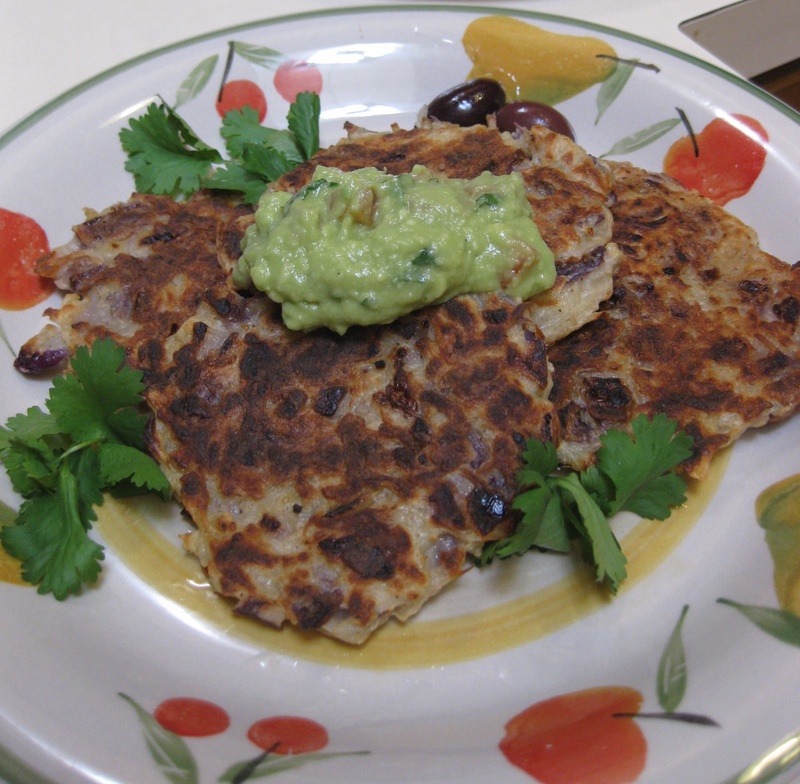 I garnished them with some guacamole, cilantro, and black olives. Yum!